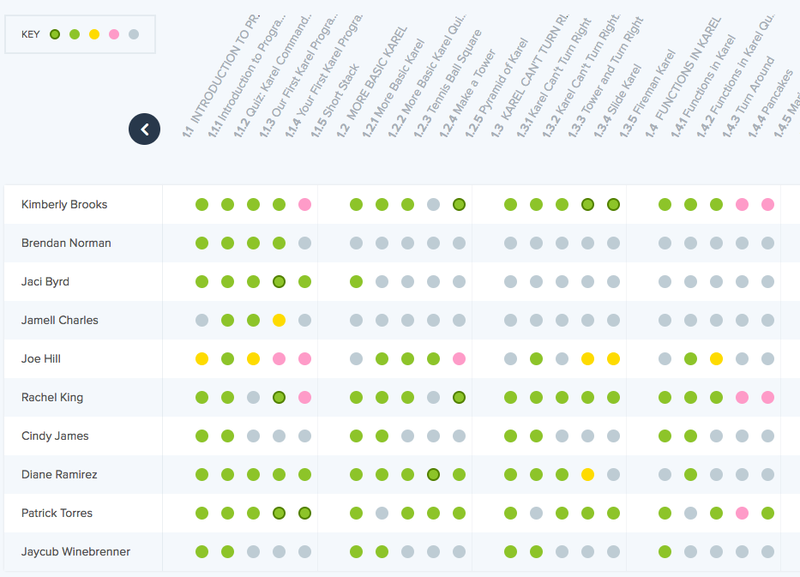 Gauge student comprehension and leverage your time in the classroom with automated progress tracking that display both student and section level progress. With automated progress tracking views, you can leverage your time in the classroom by identifying students who are excelling and those who are falling behind. Different progress views provide you with high-level snapshots of how your section is doing as well as the opportunity to understand student progress on a more granular level. 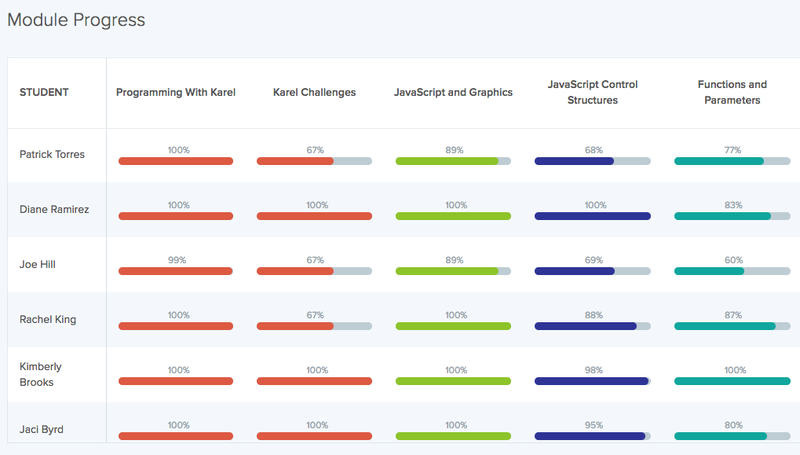 By leveraging CodeHS Progress Tracking tools, you’ll spend less time determining where students are in your course, or which activities they have completed, and can spend more time focusing 1:1 with students who need the most support. To find the Progress Tracking tools, click on the Toolbox at the top of any page and visit the Progress menu.